We just wrapped up three days at the 2009 International Conference on Climate Change, sponsored by the Heartland Institute. 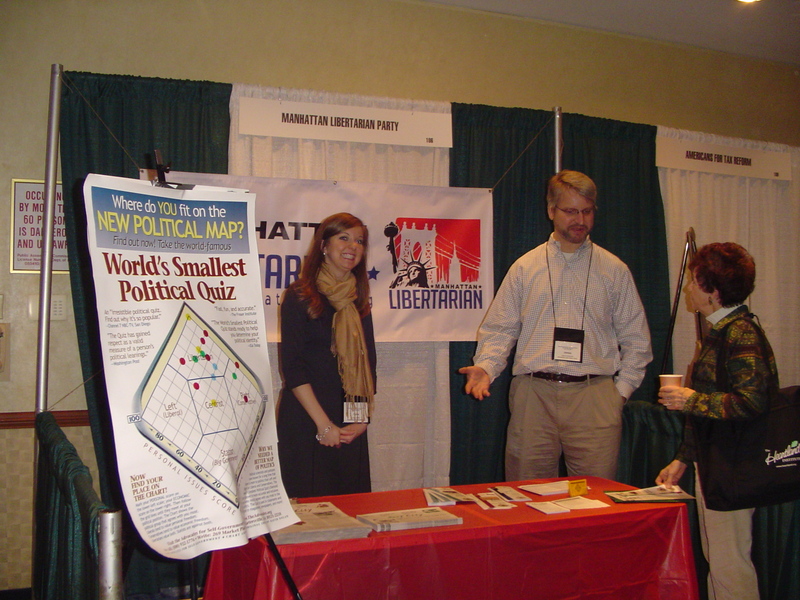 The Manhattan Libertarian Party co-sponsored the conference, and I spent a good part of the last three days working an exhibit booth with our all-star Media Relations Director Gina Miller. The conference was fantastic. This definitely beats standing outside in the 90-degree heat (OMG, it’s the global warming monster!) at the street fairs where we usually have our Operation Politically Homeless booths. We were indoors, and instead of sausage and peppers, we had waiters walking by with trays of shrimp and crabcakes on Sunday night and a free open bar in the exhibition hall on Monday night. Activism the way it was meant to be! And of course the conference speakers and panelists were brilliant and enlightening. I walked out of the hotel today feeling like the kid in the old Far Side cartoon who asked the teacher to be excused because his brain was full. Many videos from the conference are now posted at the Heartland website. Take a look and open your mind the other side of the debate. The MSM sure isn’t going to share it with you. Hope many people at the Conference also learned about the LP.